Daniel Ball is a very discerning man with a set of ethics that feed into every aspect of his work, which involves building environmentally sustainable properties. His company, LivEco, create homes that exceed customer expectations as well as government targets when it comes to energy efficiency and sustainability. What’s more, they are delivered at affordable prices – so that’s very high quality at exceptionally reasonable costs; it’s no wonder Daniel came to Vufold when he wanted some external bi-fold doors for a barn conversion he undertook in 2018. “I had been advised to use Vufold by our main contractor, who had used them before and valued the quality of the manufacturing and operation of the doors. I’m a firm believer in recommendations so had a look online at the doors and I was instantly impressed,” says Daniel. 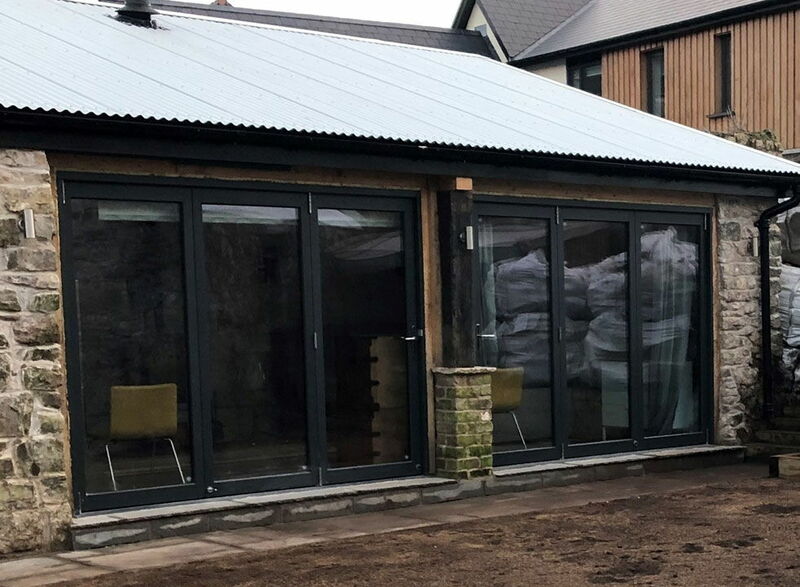 The plans for the barn conversion included the installation of two sets of Bi-folding doors that opened up at the front of the building. Daniel was keen to maintain the integrity of the building by using wood instead of aluminium, so he was delighted to find that Vufold’s Master range gave him the best of both worlds; solid wood manufacture but with slim profiles that allow for larger panes and more light entering the Grade Two listed building. “I wanted a large opening, one that gave a sense of space and no differential between the surrounding land and the interior of the building. We are as much about style as we are sustainability, which is why I wanted doors that fold right back and do not break up the lines of the building. The Master range was perfect for the barn and look great now they are installed,” says Daniel.